Energy Healing can open your being to recognize the deeper connection between mind, body, and spirit. Sometimes referred to as a "Massage for the Soul," these sessions can very greatly depending on your custom session designed by your Healer to guide you in HEALING YOU. What is energy healing and what is it used for? The term energy healing encompasses a large range of modalities that affect your energetic body, alternately called an energetic field, a spirit body, or aura; it is sometimes described as a massage for your energetic body, helping to release blockages and tension in your auric field to help your energy to flow with strength and ease. Energy healing is a skill that is innate to humans and other beings, and though there are different conceptual frameworks, one of the most common is the chakra system. The chakras are energetic centers in your body that represent and depict fluidity or imbalances in specific physical and emotional areas of ourselves. Breathwork, the act of using your breath to move energy, is a very powerful tool for healing, as it is directly tied to your energetic system. These may also be blended with the concept of mind/body/spirit, and while we may be more familiar with ways of keeping our mind and body clear and in shape, energy healing focuses on feeding and resting our spirit, keeping our energetic system running smoothly. What are some examples of energetic healing modalities? Some examples of energy healing modalities include Quantum Touch, breathwork, flower essences, qigong, ThetaHealing, cranial-sacral, Access Bars, shamanism, reflexology, acupressure, acupuncture, and Alexander Technique. Most have heard of Reiki, a modality that has gained a large following, and even that can be broken down into different lineages, such as Holy Fire, Usui, Raku Kei, etc. There is a large array of options for those interested in energetic healing, because of this we recommend starting with a healer that you feel most comfortable with, the modality isn’t always pertinent, the trust with your facilitator is. Why are they called “Healers”? Is there any physical touch, such as in a massage? Only healers that have certifications to administer physical touch have the right to do so, this includes an array of different practices and should be discussed prior to beginning your session. The facilitator may lay a hand on your body where they feel a connection is necessary, but only with consideration and your explicit consent. There usually is very little physical touch within energy healing sessions, but that doesn’t mean you won’t feel anything. We often describe energy healing as a massage for your energetic body, and during the session you may feel physical sensations such as tingling, heat, coolness, pressure, twitching, rushes, or pulling. It is not often that these sensations are uncomfortable, though they may be new and strange. In an instance where they are, please make your practitioner aware immediately. Every person’s energetic system reacts differently when they give or receive energy, so the results vary in nature and noticeability. People often report feeling much lighter, as if they have dropped a lot of energetic baggage that they seem to carry around without noticing. Other effects reported are having more clarity, feeling less self-doubt, a sense of calm, a quiet mind, and more self awareness. We usually ask clients to leave their expectations for sessions at the door in favor of intentions, as expectations lead to disappointments, but intentions are powerful - they lead to manifestations. 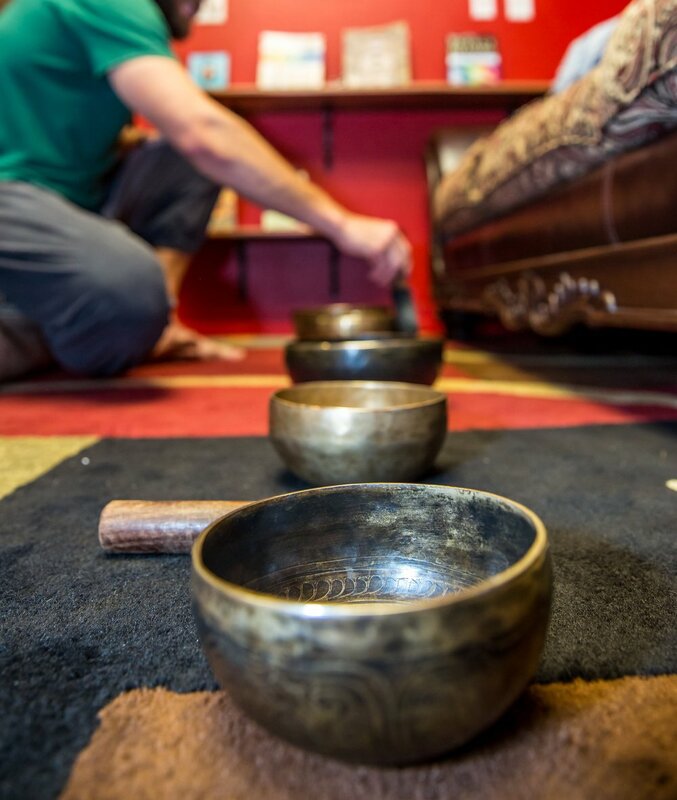 When you come into Healing One for your first energy healing session, you will be asked to fill out some paperwork relevant to your health history while a float technician prepares your organic tea or water. Your healer will come and introduce themselves, look over your paperwork, and take you to your Healing Room. 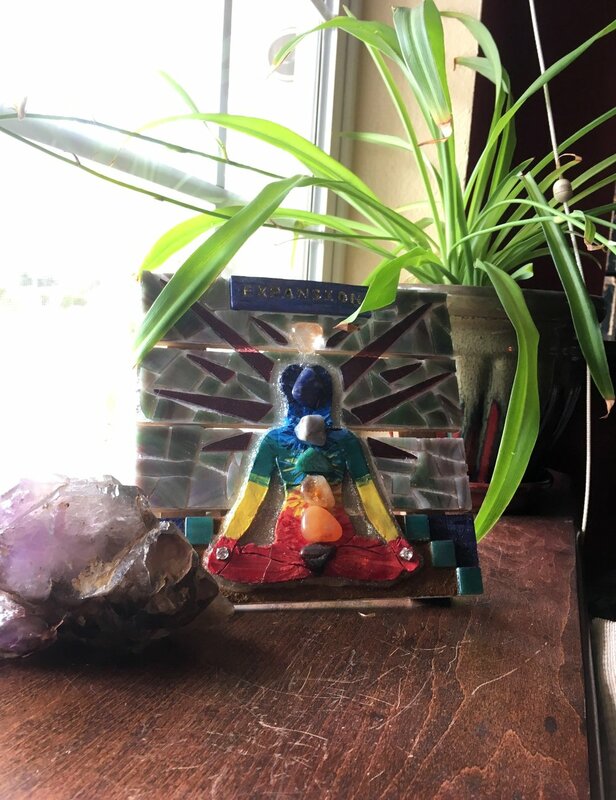 In the room, your healer will discuss with you the conceptual ideas of energy healing, body awareness, the energetic system, and intentions for the session. Before you begin, together you will set an intention, which may be broad (such as a general cleansing of the system) or more personal (such as a specific energy or direction you’d like to bring into your life). After you are happy with your intentions, you will lay on a massage bed and relax as the healer opens the space and begins to work with your energetic field. Expression through talk, movement, or emotional outlets are appropriate and helpful, and more than likely there will be some discussion during the session. Your healer will then close the space and check in with how you’re feeling. Hugs are often given after the session, as they are fun and healing too! How can I schedule an energy healing? Like most of our services, you can book an energy healing session online. If you are new to the practice, you might feel more comfortable calling our center and talking to our receptionists. They will help you book a service, as well as answer any questions you may have about the session or healer you are booking with. If you’d like to read more about our healers, click the button to the left to navigate to our About Our Healers page.